Before I became a minister, I never, ever, even once went through the receiving line to greet the minister after a worship service. I assumed that everyone else waiting in line had something meaningful to say about the service, something deep. I had no idea what to say. I came to church expecting a sermon and a worship service, and that’s what I got. I had no idea what to say about it. Now that I’m a minister, I treasure the brief interactions I have with people coming through the receiving line. This is sometimes the only concrete feedback I get on the service and the sermon. I spend weeks planning and preparing each service, all in the hopes of creating an experience that is meaningful and touches people’s lives in some way. And then I’m curious to know, was it meaningful? Did something in the service touch or move you? Please know, I don’t expect every person to come through the line. I know you want to get your coffee, or you need to get home, or find your children, or you might not want to stop to chat with the minister. But for those people who just have no idea what to say, I thought a tip sheet might be helpful to you. People also say–and I appreciate hearing–“I liked the service.” I didn’t include it above because “liking” the service isn’t the goal, and when someone says that, I assume they actually mean something like “this service was meaningful to me.” Worship is meant to be many different things at different times: challenging, comforting, celebratory. “Likable” isn’t something I strive for when I put together a service, but I understand that it’s a compliment when someone tells me they liked it. What not to say? No interaction with the minister in the receiving line should take longer than 30 seconds (AT MOST). It’s just not the place for a meaningful conversation. Perhaps if no one is behind you, you might linger for a few minutes, but keep in mind that the minister may have other people she needs to speak with or things she needs to do after services. And please, please don’t tell the minister anything you expect him to remember. He’s just spoken with dozens of other people and will likely not remember your request to call or visit or email the link to the thing. In preparing this post, I thought long and hard about what to advise when you have constructive criticism for the minister. I think offering critical feedback is for the advanced parishioner, a “Church 202” post for somewhere down the road. And I don’t think the receiving line is the place and time to do it. As for what to do with yourself: I let the person coming through the line determine if they want to shake my hand, or offer a hug, or nothing at all. If you shake the minister’s hand, be sure to wash your hands afterward. You just shook hands with 70 other germ-carrying congregants. What does everyone else think? Parishioners, do you go through the line or head straight for the coffee? Clergy, what do you like to hear in the receiving line? 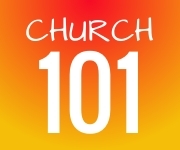 4 Responses to "Church 101: What to Say in the Sunday Receiving Line"
I was often surprised when people commented about something I “had said” in the service, when I hadn’t said that at all. I figured they had heard what they needed to hear, whether it came in the form of my words or that wise voice inside their heads. And YES to not taking up the minister’s time or saying anything you expect him/her to remember. One more thing: ministers get a lot of criticism about a lot of things. If you have a thoughtful and positive response to something your minister has done, please tell her/him in a handwritten note. I guarantee you, that minister will be extremely grateful and will cherish your note. I kept notes like that in a file titled “Fan Mail,” and I would read through them now and then, especially when a blistering criticism came my way. It’s a good way to remember that we occasionally get something right. Yes, Judy, good advice for all emerging ministers. Keep a file of the nice notes that people send you. A day will come when you will really be glad to re-read each one, slowly and with great feeling, just to assure that you are not as terrible as somebody has said you are. But failing that: Well, some background. I used to get a lot of “Thanks for your message” kinds of comments. I am pretty sure, looking back, that that is a measure of how uninspiring many of my sermons used to be. It’s the post-service equivalent of “Have a nice day” or “Hi, how are you”–a rhetorical reflex, a useful accompaniment to politely shaking the minister’s hand on the way out, but packing no real meaning.